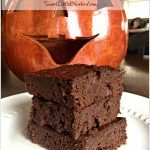 I have the BEST recipe to share today!!! SNICKERDOODLE DONUT MUFFINS!!! I came across an awesome Donut Muffins recipe on allrecipes.com and was so excited when I read the ingredients, NO EGGS!. My youngest with the egg allergy has never had a donut….ever. That is just so wrong. So to say that I was thrilled stumbling on this recipe is an understatement. This afternoon, I was planing on making Snickerdoodles for my husband, they are his absolute favorite cookie as a kid and I’ve only made them a few times in our 18 years together. The problem is, they have eggs and my little one can’t eat them. Boo. 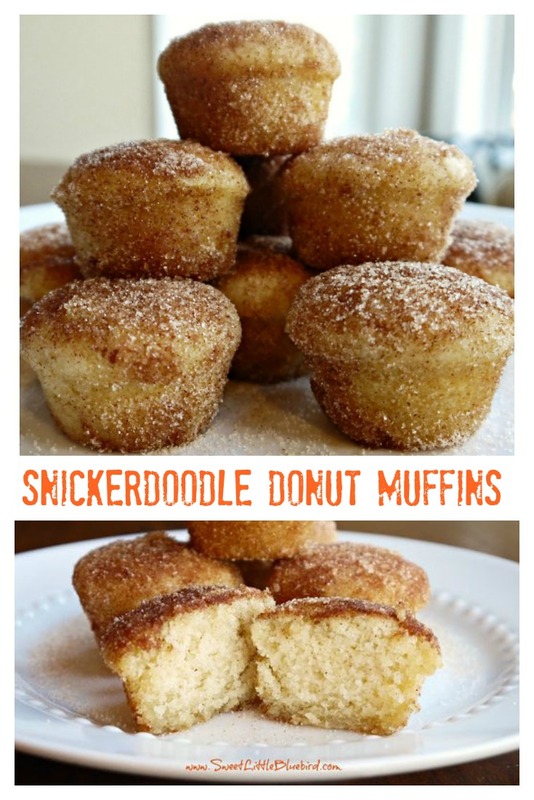 I love to experiment with food and and started thinking about the Donut Muffins recipe…what if I made Snickerdoodle Donut Muffins?! 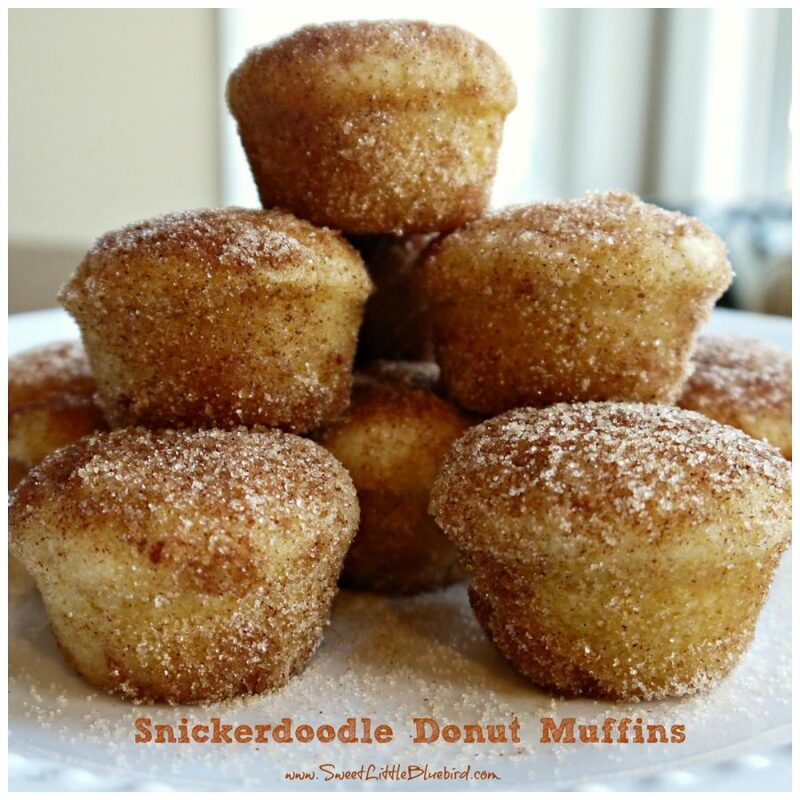 I did a quick Google search for Snickerdoodle donuts and muffins – again, not a novel idea, others had already thought of this delicious concoction. 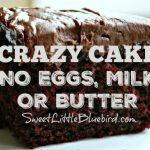 The problem I came across, all the Snickerdoodle donut and muffin recipes called for eggs. So I decided to try to come up with my own, using the recipe from allrecipes.com and my Snickerdoodles recipe as a guide. 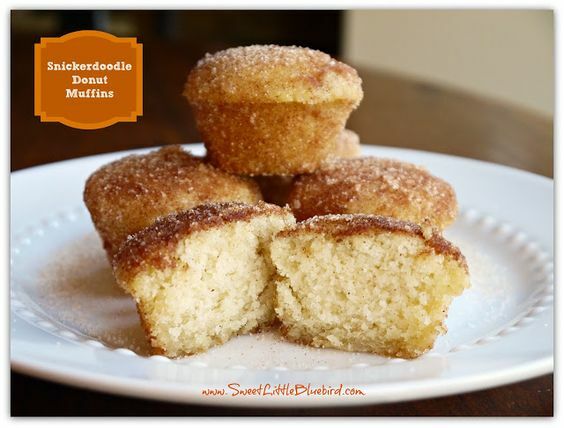 End result…the BEST Snickerdoodle Donut Muffins on my first try! They are so easy to make. My family went NUTS over them, so did the neighborhood kids. My little one can’t wait for me to make them again – she loves these donuts! That makes my heart happy. Oh, and my husband downed six of them with a cold glass of milk. I think they are a yummy substitute for his childhood favorite. Next time I make these, I plan on doubling the recipe. Spray mini muffin tin with non-stick cooking spray – be sure to spray the top of the pan too. In a large bowl, mix melted butter, sugar and vanilla – mix until smooth. Next pour milk over mixture, set aside, do not mix. In a medium size bowl, mix the remaining dry ingredients (flour, baking powder, cinnamon, cream of tartar and nutmeg). Pour your dry ingredients over the butter/sugar/vanilla/milk mixture -and mix until just blended. Using a spoon or a scooper (I use a medium size Pampered Chef scooper), fill each muffin 3/4 full. Place in oven on middle rack and bake 18-20 minutes, until lightly golden brown. Remove from oven. Take each donut muffin, and while they are still warm (but not too hot), dip them completely in melted butter and roll them in cinnamon sugar mixture. Place on wax paper to cool. Enjoy them warm or cold with a glass of milk! TIPS – If you don’t care for nutmeg, just replace it with an additional 1/4 teaspoon of ground cinnamon. Also, the original recipe does not call for Cream of Tartar or Vanilla, so if you don’t have them in your pantry no worries, just skip them, they will still be delicious. You can head over to ALLRECIPES.COM for the original version for Donut Muffins! Hi! 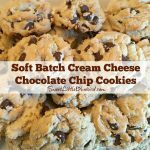 I just made these yesterday and they are absolutely amazing! Thank you! I’m wondering if I can make a dairy-free version of them for a friend and substitute vegan butter for regular butter and almond milk for dairy milk? Have you had any experience with these substitutions? These muffins sound delicious. Yum. A question though. What does the cream of tarter do, since it is optional. Just curious. Cream of tartar is leavening agent, but for snickerdoodles (cookies) it’s what gives the cookies their distinctive taste. For these muffins, you don’t have to use the cream of tarter, but if you want that snickerdoodle taste, use it. These sound great, BUT, I am a widow, so the question is if these can be frozen? My snickerdoodle recipe does not have eggs in it…none of my cookie recipes use eggs!!!! I had a coffee shop and made all my own cookies! Ayer los prepare y quedaron realmente deliciosos, aunque solo salieron 12 cupcakes. This recipe is amazing. I made it with gluten free flour, regular size muffin tins and baked for 23 minutes. I also sprinkled cinnamon and sugar on top before baking instead of adding more butter at the end. We are in a blizzard here in WI so it was a great day for baking! Can these be made in a mini bundt pan?? Oooo, I can't wait to try these, my youngest also has an egg allergy and he loves Snickerdoodles. If you need a egg-free Snickerdoodle recipe let me know. What a fabulous creation! My mouth waters to think of this special treat. I've always been wild about Snickerdoodles. Nice going Mary! Definitely pinning this one. Miss you Girlfriend! Well, I made them and they are every bit as good as they look! Yum! Ok, I know this is off topic, but what is a link party? Oh, and on topic, these look delicious and I'm going to try them today! Right away! Like, right now! Yum! I made them and they are heavenly!! Have you froze them after dipping in butter and sugar?